Dexter Daily: POLL: What Do You Think of Louis Greene? POLL: What Do You Think of Louis Greene? In the latest episode of Dexter, we saw the dispute between Dexter and Louis, going one step forward. 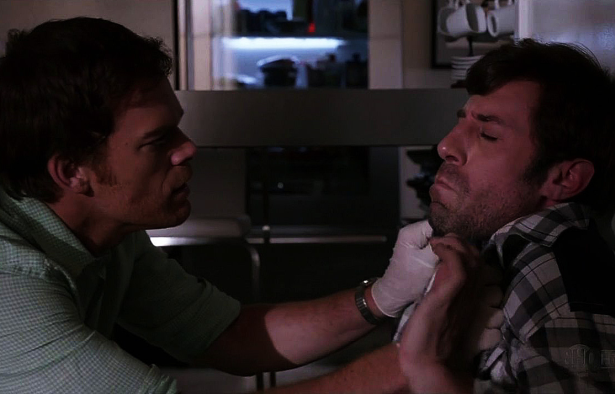 When Dexter corners Louis, he swears it was just to make Dex nervous because he had disapproved of his serial killer video game. Did you buy Louis story? Is that the only reason he's 'obsessed' with him? Vote below and tell us your thoughts in the comment section! Did you buy Louis' story that his beef with Dexter was only about his video game?